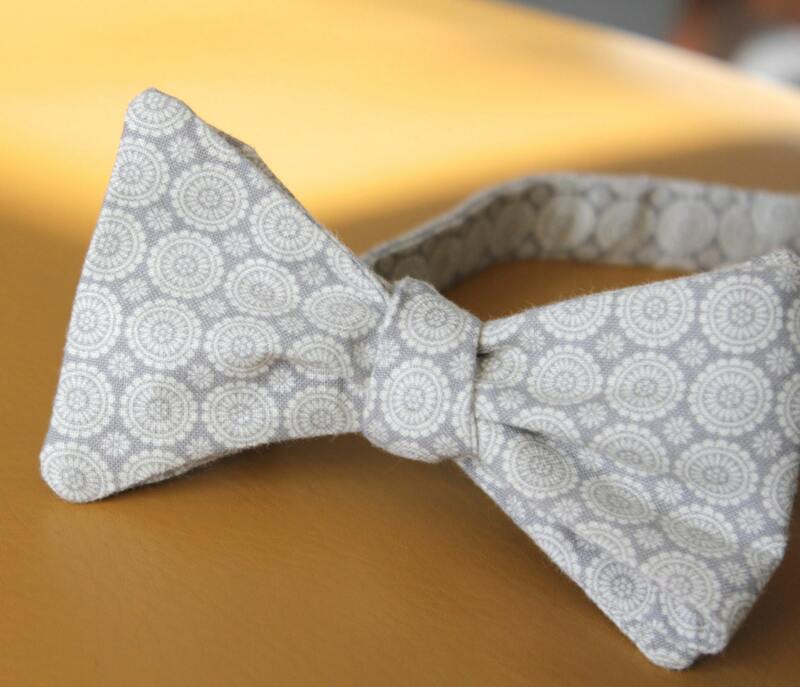 Striking bow tie with gray and white medallion designs! 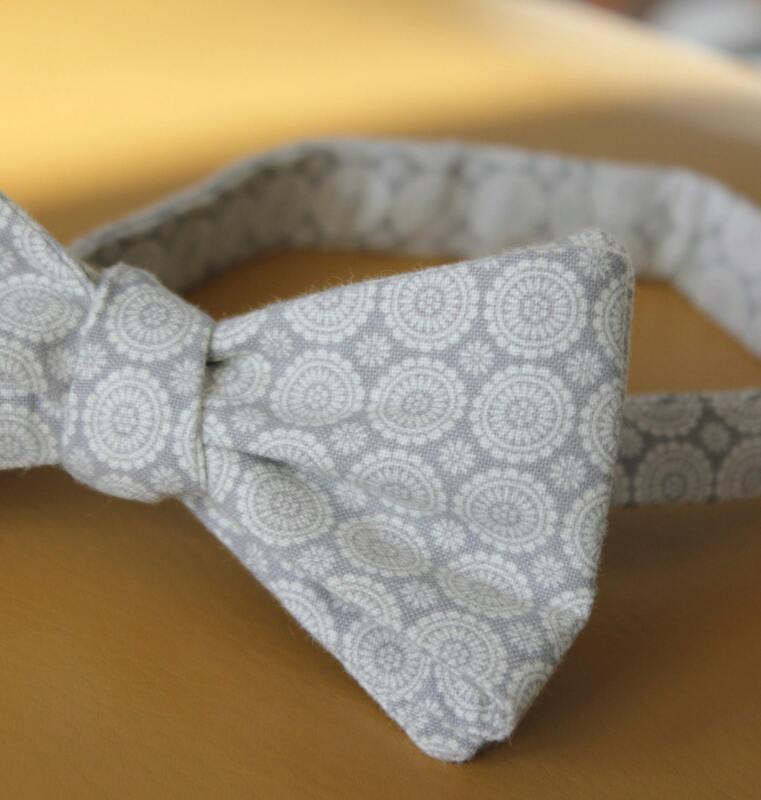 This fun and funky bow tie is perfect for any little boy to wear on Easter, at weddings, in photographs, to church or for any special occasion. 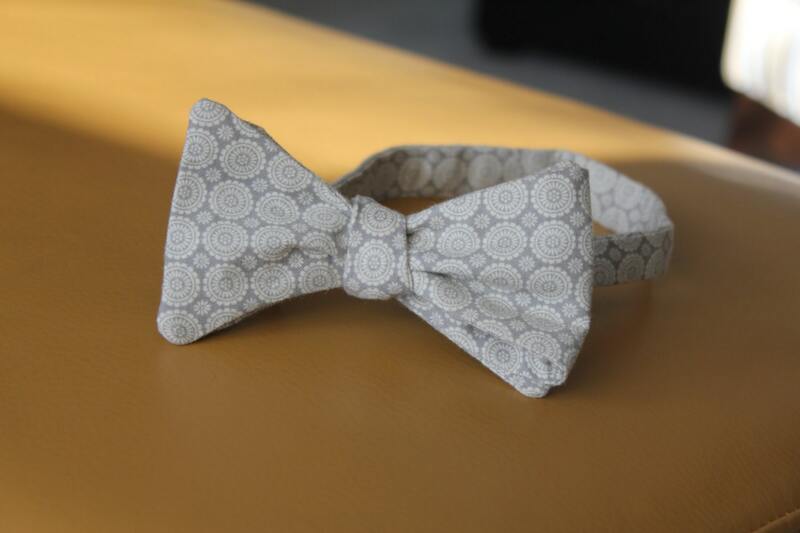 Made of top quality designer sateen cotton.